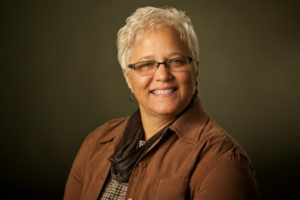 Glenna Cooper is Assistant Professor and Department Chair for American Sign Language Education, English As Second Language, and World Language at Tulsa Community College. With federal and state funding, she implemented Oklahoma Domestic Violence and Tobacco Awareness programs to improve services suited to the cultural needs of the Deaf community. She was one of a few Deaf nationally certified instructors to provide Deaf Culture training to emergency responders in 40 states. Cooper reviewed FEMA’s Special Needs Planning Guidebook for Emergency Managers. She oversaw a relay call center with more than 250 operators to comply with Title IV of the Americans With Disabilities Act, which ensures telephone service accessibility. She has a Bachelor of Arts-Leadership Administration Degree from the University of Oklahoma and Master of Arts in Sign Language Education Degree from Gallaudet University.